Hydraulic power units are produced in close cooperation with customers. Technical and commercial very well educated personal in marketing process continually search for needs and wishes of our customers and their problems from the field of hydraulics. Gidrolast offers to our customers knowledge, abilities and experiences for solving such problems. Gidrolast engineering knowledge is core competence of projecting processes. In this process our engineers design hydraulic power unit according to customer demand, all necessary documentation is prepared and risks and production capabilities are assessed and the whole project is prepared for execution. In sales process the customer gets a complete offer. The whole process of following the execution of customer’s order is followed by business information power unit. In order to delivery process the hydraulic power unit is produced, tested, adjusted and prepared for transport on the basis of technical documentation. Gidrolast pays a great attention to quality, design, safety and environmental influences. 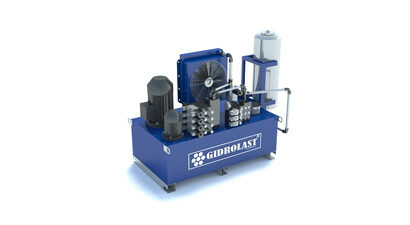 Gidrolast also respect the guidelines of functionality in design and production, which enable simple operation and maintenance of hydraulic power unit. 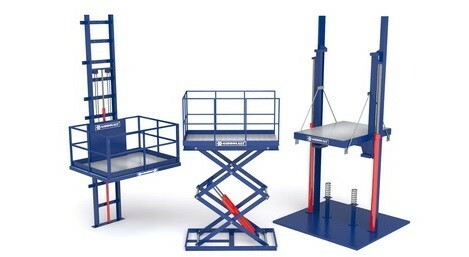 Our job is also installation and put into service the hydraulic power unit. Work is done by specialised personal and assures perfect operation and reduces costs of maintenance. Modern tools for designing and projecting CAD, product data management PDM and business information ERP support the whole business process. This hydraulic power unit uses a standard range of modular components for easy specification, assembly and maintenance in the most demanding industrial applications. With motors up to 30 kW, flow rates to 100 Litres/minute, tank capacities to 180 litres and pressure capability to 250 bar, we can offer a hydraulic power unit system to meet most industrial requirements. The hydraulic power pack components have been carefully selected by Hydraproducts to give an economic solution from our large stocks. The AC motors are all IP55 as standard and multi mount B35 configuration. Motor options such as Anti-condensation heaters and Ex protection are possible. 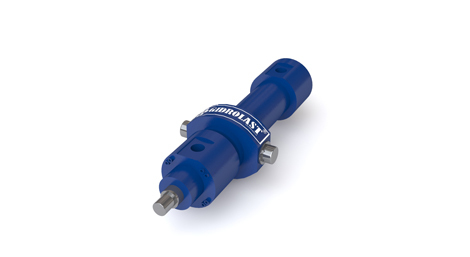 Power pack pumps are based on European standard 1:8 taper 4 bolt gear pumps from Groups 1,2 and 3. Low pulsation gears give a quiet and smooth flow. Group2 and 3 pumps have cast iron flanges for extra strength. All power packs have 90 micron suction filters and 25 micron return filters as standard. Pressure filters to 3 microns are optional and give our power units high cleanliness levels. Hydraulic power pack suppliers offer a hydraulic circuit and parts list, Gidrolast offer this and a full installation and maintenance manual. Each power pack is supplied with a test certificate and CE approval documentation. Where the hydraulic power unit does not offer all the hydraulic features required we can design and manufacture a full hydraulic power pack system. 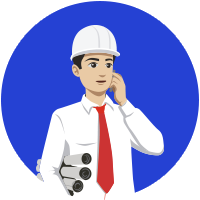 Do not hesitate to contact our International sales team, located at London in UK, at your disposal for all commercial and technical requests or any other inquiry. For your information, Gidrolast searchs for foreign distributors to make known our Company and sell our products.